This article originally appeared on www.phpfreelancer.org. NB: Since the extension has not been maintained for a while, it is currently under review and therefor temporarily not available via Magento Connect, please check the github repository Magentron/EmailImages. This Magento extension allows images that are used in the email (HTML) content to be attached to the email so that they are displayed inline without having to depend on the user to click a button like 'Show Remote Content' to display these images. Available on Magento Connect: EmailImages. 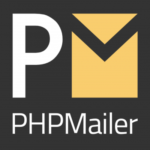 This Magento Commerce extension allows you to send your newsletters via the PHPlist system. © 2011-2015 Magentron. All Rights Reserved.